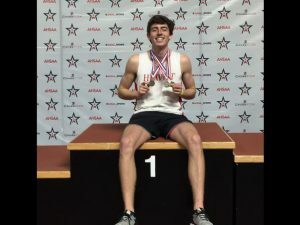 BIRMINGHAM — The indoor track and field season came to a close over the weekend at the AHSAA 7A State Indoor Meet, and when the dust settled, the Hewitt-Trussville boys’ team had come away with a third place showing. 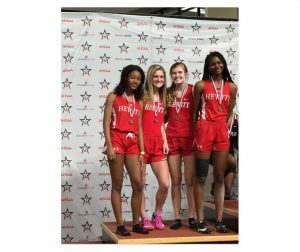 The Hewitt-Trussville girls placed 11, out of 32 teams, with Camryn Pettus taking the bronze medal in the triple jump, Lea Thompson winning the silver medal in Shot Put, and the girls winning a bronze medal for the 4×400 relay with Bri Beckham, Alli Carruth, Sydney White and Kelsey Martin running in the relay. 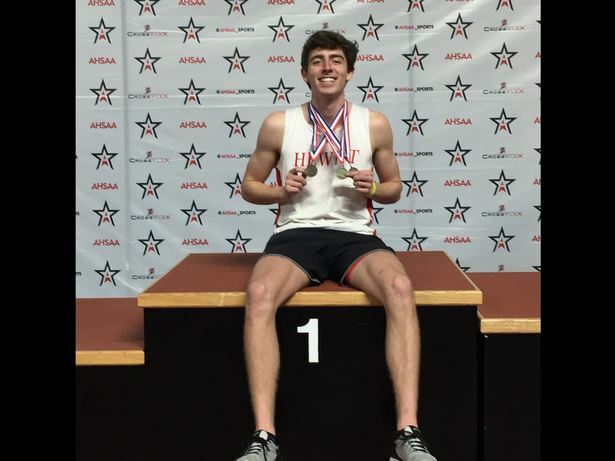 In other results, Julian Collins placed seventh in the Boys 60-Meter Dash, Cameron Smith placed eight in the Boys Pole Vault and the Huskies placed seventh in the 4×800 meter relay.